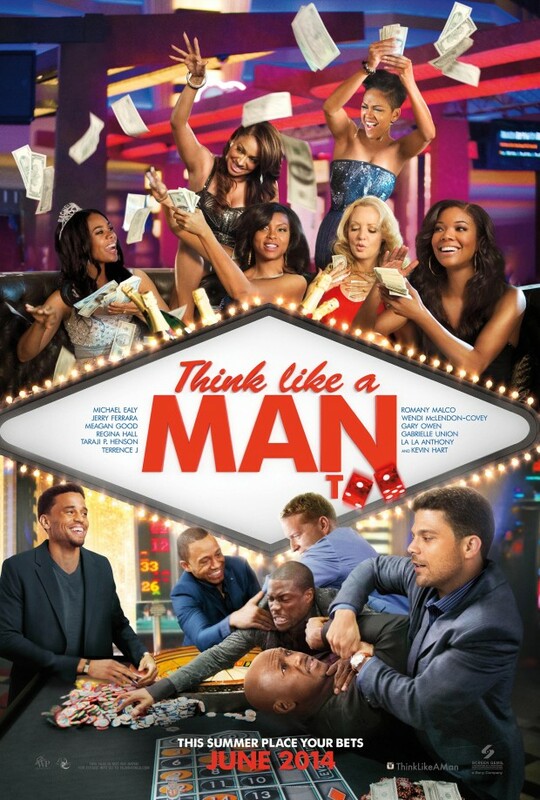 In the highly anticipated Think Like A Man sequel (2012), which was inspired by Steve Harvey’s best-selling book “Act Like a Lady, Think Like A Man,” all the couples are back for a wedding in Las Vegas. But plans for a romantic weekend go awry when their various misadventures get them into some compromising situations that threaten to derail the big event. Think Like A Man Too, starring Adam Brody, Michael Ealy, Jerry Ferrara, Meagan Good, Regina Hall, Dennis Haysbert, Taraji P. Henson, Terrence J, Jenifer Lewis, Romany Malco, Wendi McLendon-Covey, Gary Owen, Gabrielle Union, David Walton, and Kevin Hart – will hit theaters on June 20, 2014. Reproduction without explicit permission is prohibited. All right reserved. Photos & certain artwork used on MovieProNews are copyright protected and are the property of their respective owners. & other trademarks used herein are the property of their respective owners. 113 queries. 0.069 seconds.